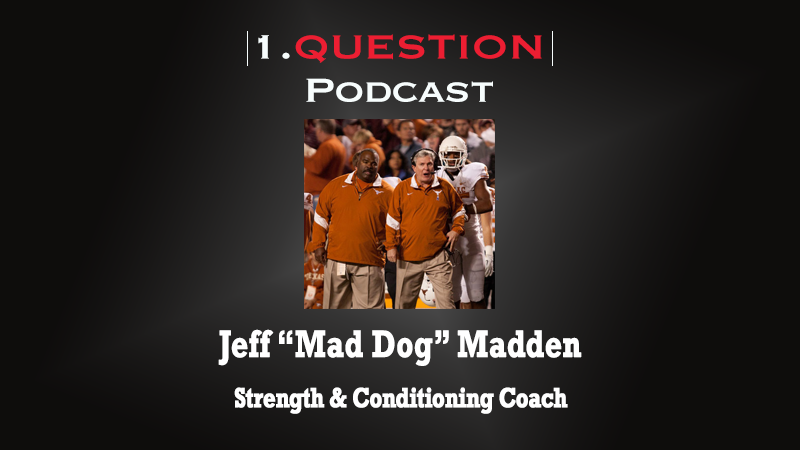 Jeff “Mad Dog” Madden, longtime Strength & Conditioning coach, visits the 1.Question Podcast to give insight on the S&C profession and why education and professional development is an important aspect to the health and well being of Student-Athletes. Madden also talks about his relationship with Mack Brown and DeLoss Dodds while at Texas. He recalls that Dodds’ would try to spend time with every person that was hired on his athletics staff, making the point to tell them to never embarrass the university.